The Adventures of Charlie Pierce is an award-winning children's book series written by Harvey E. Oyer III. Do You Love the Magic of Storytelling? Was the magic for you an original bedtime story told by one of your parents? Or was it a tale told around a fireplace or campfire by an adult friend or relative? Perhaps the magic came from stories about your mother or father when they were young or even from stories of distant family members you never met. What happened to the magic of storytelling? Where do you go today to find that magic for your own child if you are a parent or for your students if you are a teacher? What you are about to discover in The Adventures of Charlie Pierce book series is a truly remarkable storytelling experience for you and your child or student. These are the best of true life stories that have been passed down through family members for five generations. Who was this young Charlie Pierce? Charlie Pierce led one of the most intriguing and exotic lives imaginable. His adventures as a young boy growing up in the wild, untamed frontier of Florida became legendary. Perhaps no other boy in America’s history experienced firsthand as many important events and met as many influential characters. 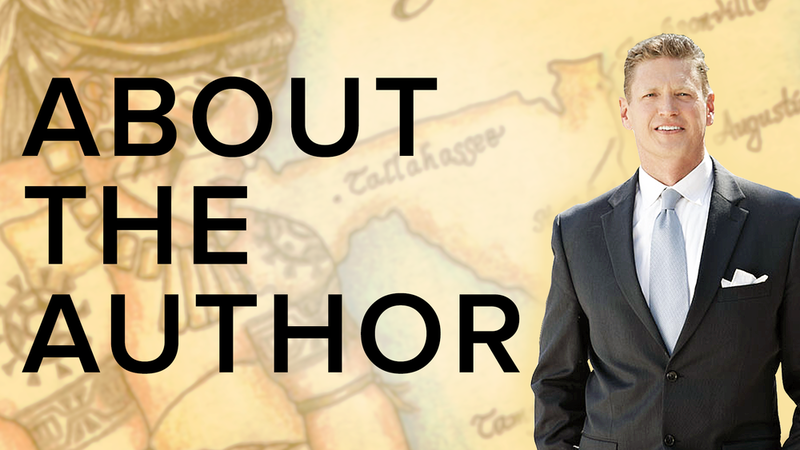 The Adventures of Charlie Pierce book series captivates readers of all ages while following the epic adventures of Charlie and his Seminole friend, Tiger Bowlegs. Follow Charlie and his family as they become the first settlers in the American Jungle, encounter wild animals, survive hurricanes, endure great personal challenges, and discover Spanish treasure. Your entire family will love Charlie Pierce and his adventures. This Website is your invitation to explore the world of Charlie Pierce. Whether you are a teacher or parent, here you will find information, articles and tools to re-discover the art of storytelling to awaken the power of history in your child or student through true life family experiences. The first three books in The Adventures of Charlie Pierce series are available now and can be purchased at the Buy Book tab. See the Education page for specifics on how the Charlie Pierce books fulfill teaching standards. New pages and information of interest for both parents, children and teachers will be added to this site on a regular basis. For now, please accept this welcome to your journey of re-discovering the magic of storytelling.